Are you gearing up for big Memorial Day festivities this long weekend? I’m not, but that’s okay, I’m still in post-college recovery. You know what I did yesterday? I took a NAP! What a miracle! I never do because I feel like they are such a waste of time. I had a few option though. Either do work/blog, sit and be overwhelmed by my never-ending closet of STUFF which I filled one garbage bag to throw out and it didn’t make dent, read (which I really hope to get back into this summer), or take a nap because I was tired. I chose the latter. I left my phone in my bedroom where all distractions are, went down to the living room, curled up on the couch and fell asleep for an hour. It was one of those sleeps where you’re mind don’t totally turn off (I have so many things going on), but I just needed the nap! It was kinda glorious. After that, I cooked a bangin’ new recipe. So I’d say a lazy Thursday was actually a major relaxing success! Woh! I should take naps more often. I have the whole summer to do just that. To take real-time for myself to rest and recover with no obligations that need my urgent attention. Maybe you’re feeling a bit stressed about holding a cook-out this weekend? Well Here are some simple recipes you should put on the menu! These easy veggie burgers, these portabello burgers and baked beans, maybe some chicken burgers, grilled plantains, some sweet potato fries, o and you should probably make this homemade mustard and ketchup! Happy eating, loving, thanking those who served us, and happy weekend my dear friends! Read these links and then go take a nap! You actually benefit more by allowing yourself to feel the pain. I think #1 is most important! Creative people are unique in their needs! You know, all that comparison. These are wonderful and not the typical ones you always read! Only you hold the power and knowledge you need. So many! I have become very fond of podcasts recently while I’m working on the computer! Never let fear hold you back! It’s so hard, but if you’re just another gym-goer, you really shouldn’t. Omg! My slow running twin! Don’t ruin a perfect piece of lovely salmon! Sometimes what we deem as healthy just isn’t “healthy” for us. If I can hack this to be gluten-free….my life will be made! Loved this! I was never super sure on the differences or my favorite cuisine! We all know the leftovers are the best part anyway! 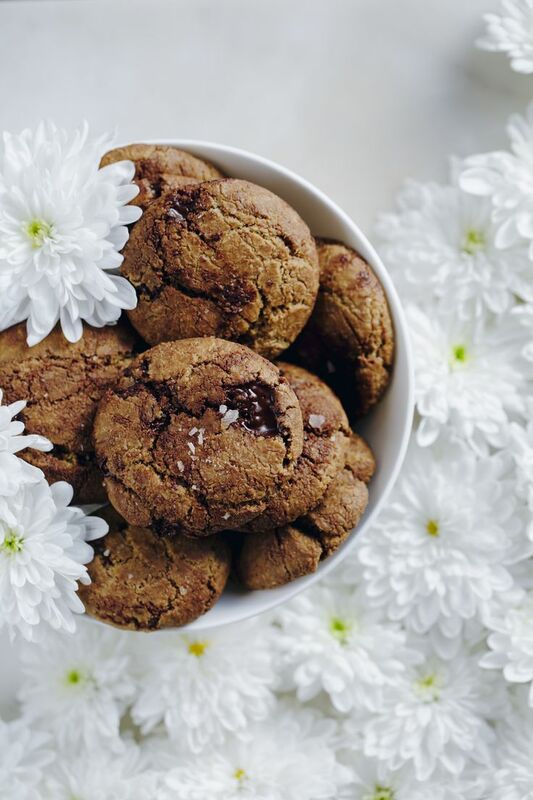 Just some yummy vegan ideas for this holiday weekend! Because plant-based bacon is the only good kind! Really great things to know if you suffer from an autoimmune disorder. I’m not sure how I feel about this post…discuss! Did you know May 19th was IBD awareness day? Yes! Listen to your body! Sometimes I wish I just didn’t have to tell anyone. + Do You Make These 10 Mistakes When You Blog? Good stuff! Don’t make these mistakes! Not too ground-breaking, but the usual good tips! With #3 for the millionth time, for the love of all things, PLEASE have them set up with your handles! You might in the very beginning, but once you’re established, it’s a big no-no! How to make good pinnable images! I used to do that 😉 But I actually like the one day break! 2 of them are in wonderful NJ! Cape May is the bomb! + Why Are Some People Better At Drawing Than Others? I’d say I’m in the middle of good and bad. Good to keep bookmarked for those days! Wow! Some are just amazing! Not sure why the White House is #4…it really isn’t that impressive close up! Hahaha #4 and if you’re going to do #17 (which you should), I’d suggest a mirror too. 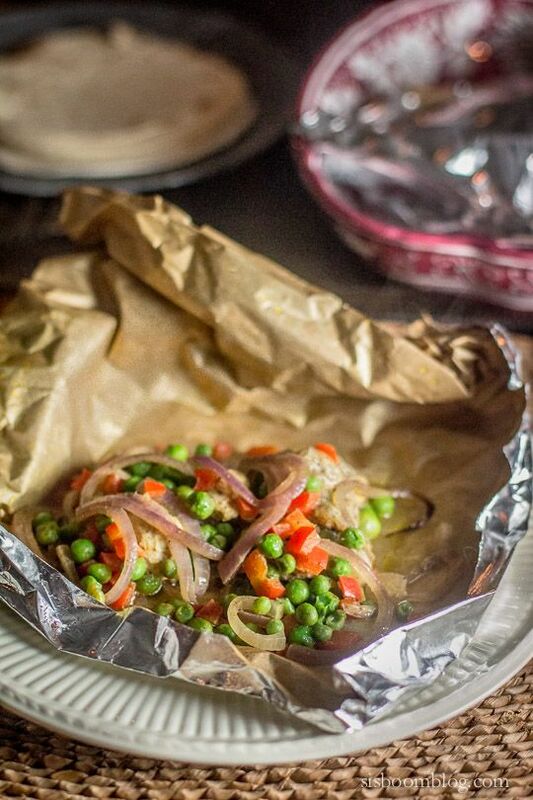 Curried Chicken en Papillote. Just look at this foil pack of love! 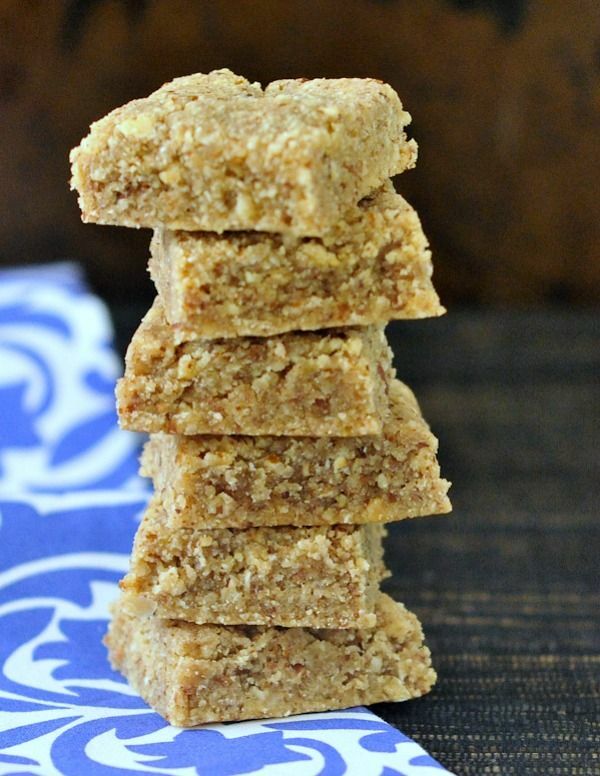 Fudgy Cardamom Squares. These sound lovely and such a unique flavor! 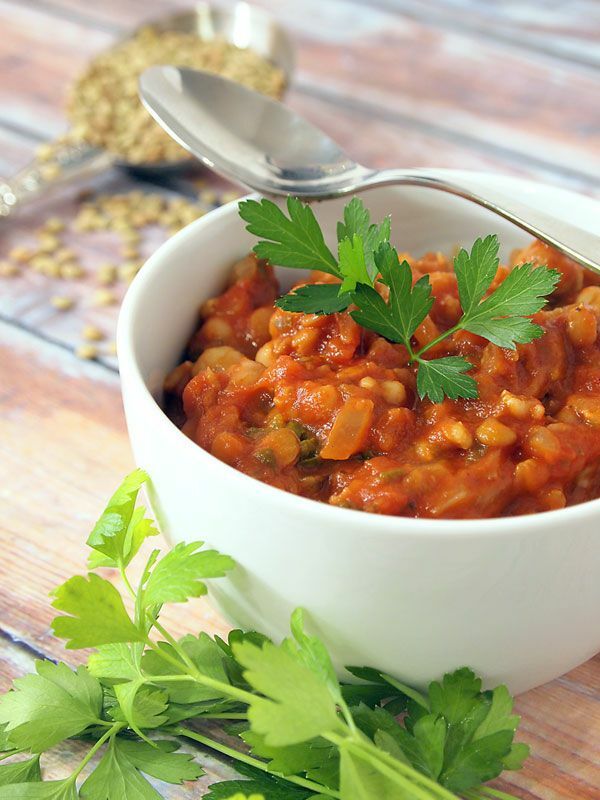 Tomato Arugula Stew. My arugula love obsession! I think it’s one of the best greens! 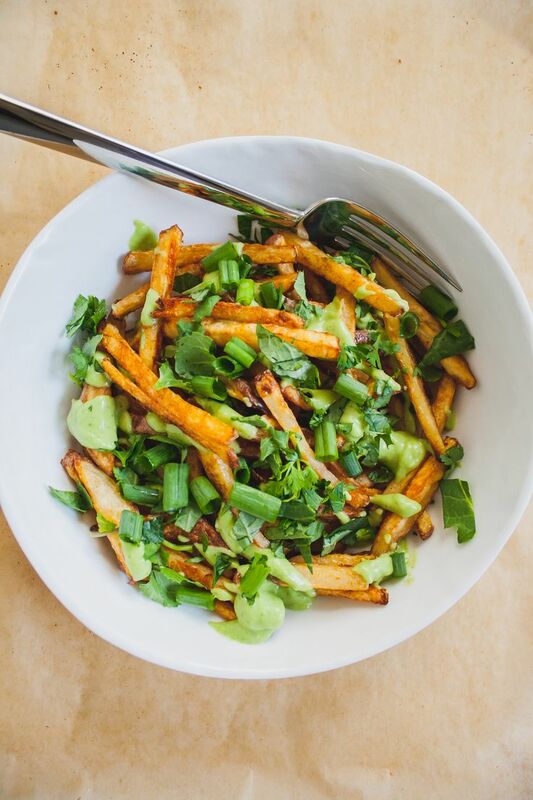 Street Fries with Avocado Creme. Potato dish of love! 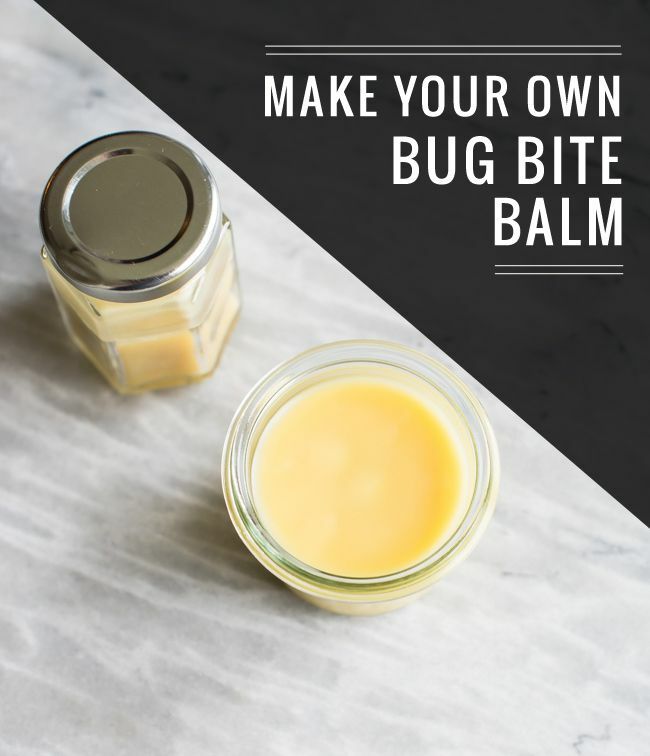 Make You Own Bug Bite Balm. A non-food pin! I know! But this could come in handy real soon! 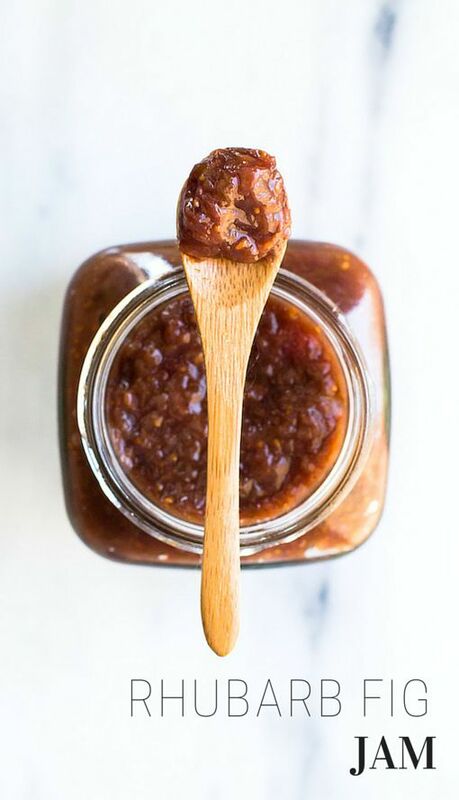 Honey Sweetened Rhubarb Fig Jam. Rhubarb and fig! Can you get any more elegant! 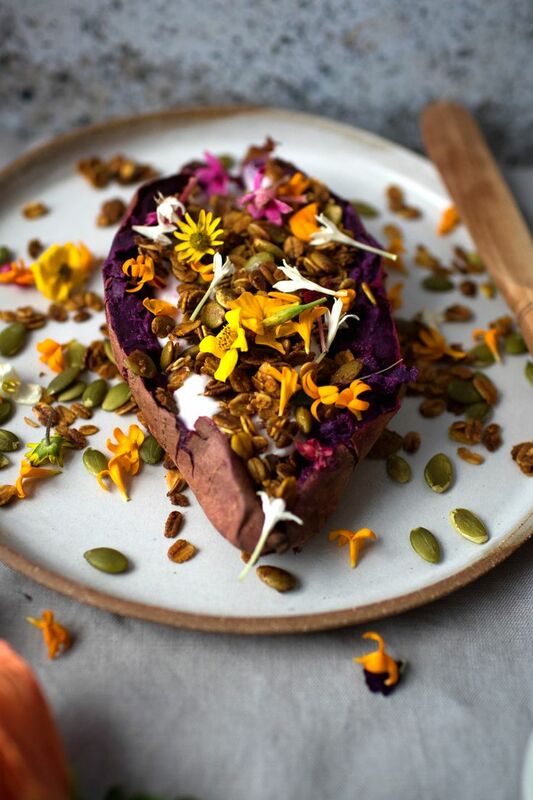 Breakfast Sweet Potato with Hibiscus Tea Yogurt & Granola. Swooning over the purple sweet! Use vegan yogurt and we’re golden! 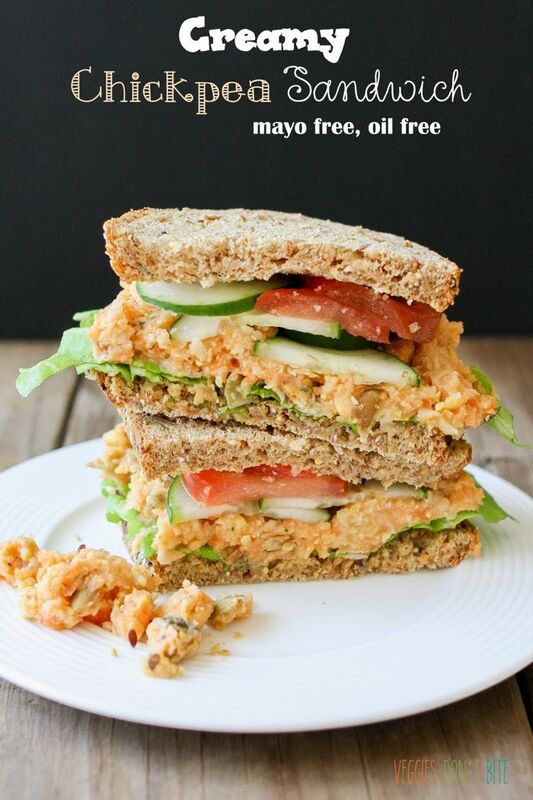 Low Fat Creamy Mashed Chickpea and Veggie Sandwich. Who’s ready for lunch? 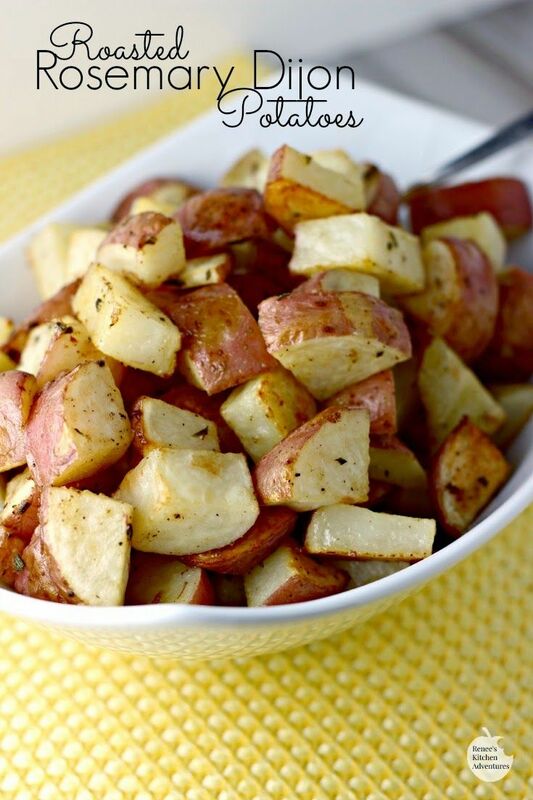 Roasted Rosemary Dijon Potatoes. Such a perfect side dish! Salt ‘n’ Pepper Cookies. Don’t these just sound awesome! Sweet with a touch of pepper spice! + Weird kitchen experiments. I tried making vegan allergy-free marshmallows and it was a total fail…back to the drawing board! I wish I has a stand mixer, but alas, it’s the one kitchen appliance I don’t have. Sadness! + Do you take naps? Do you like taking naps? Glad you took some time to rest 🙂 I see some posts on your list that I have to check out. Thanks for posting these great links to some awesome content. Sometimes just laying down and closing your eyes does help! I know! Such a struggle! Just not a “daytime” sleeper! Hahaha, gotta share the poop love! O, you too sweetheart! Have a beautiful weekend! Enjoy your rest and relaxation! There is nothing wrong with a good nap! 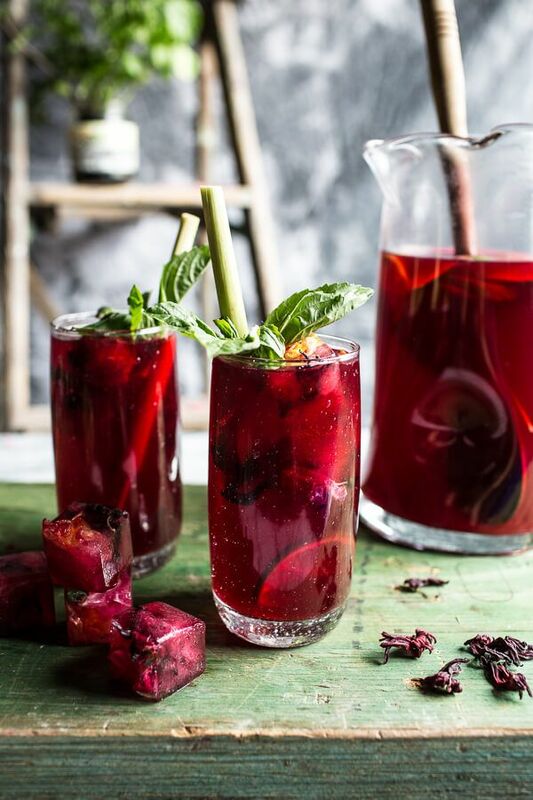 I am adding the Hibiscus, Lemongrass, Basil and Honey Sweet Iced Tea to my summer drink menu. Looks so refreshing! It sounds fantastic! Summer perfection in a nice cold icy glass! mmm all that food sounds amazing, but HOW GOOD ARE NAPS? enjoy your long weekend! And make sure you do plenty of relaxing post college. You’ve earned it! Oh, hand sanitizers–I definitely use a crap ton of it in the hospital because sometimes, there really isn’t any time to stop and wash my hands properly. I try to make up for this by giving em’ a thorough washing when I’m done for the day, and moisturizing a lot when I get home! I’m brewing up a new veggie burger recipe in my head to try out this weekend! I’m still pro-sanitizer. But if I’m eating out or something anyway, I never touch my food. I’ll shake it into my mouth or use the wrapper/plastic. And I would never touch my face in public! Of course dear! XOXO Nap on! Great links Rebecca. I especially liked the Instagram one. Very useful, thank you! I don’t nap because once I fall asleep I’m down for hours. I’ve never mastered the art of the cat nap. Hahaha, that’s where you should set an alarm! You had me at naps! I love couch naps! Much better than coffee with cream and sugar (and less fattening). Great post, lots of resources! There were so many things this week! That iced tea looks delicious and I love the color of it. It is always great to take a lil break. Kudos to your relaxing success!! It is such a lovely color! I’m so behind in reading blogs so thank you for this post and for helping me catch up!! So looking forward to relaxing this weekend. Have a wonderful long weekend! I might have given you too much to catch up on, hahaha! Have a beautiful weekend yourself love! Oh man this is a great post!!!! That tea looks amazing, trying it. I love a good nap. I really could use a glass! Sounds like I’ve got some reading for my weekend 🙂 Also – those potatoes look delicious! I’ve book marked SO many links today. As always great Friday Finisher! I adore the article on body image and the future of blogging. Fingers crossed this gets to be a full time gig one day! I also MUST try that hibiscus tea. I shared the how to love a creative person blog post to my boyfriend since it hit it on the nail for me! Have a wonderful Memorial Day Weekend!! I really want that tea right now! Ah, have a wonderful weekend too dear! I sooo know how you feel about napping!! I always feel like they’re the bottom of my list as there’s always so much to do at home! I’m so glad you took the time out to rest though, as it’s definitely important 🙂 hope you have a great memorial day weekend! Can’t wait to read these links and your recipe looks amaaaaazing!!! Thank you dear! Have fun reading! Loving those pins!! So glad you had a successful nap…I’m not a napper either so I completely understand how you feel! I felt like giving myself a high-five, haha! Hahahahaha! I know! The glistening beckoning call right as you walk in to the grocery! I didn’t even pay attention to when Memorial Day was this week. Been so busy! I’m one of those weird people that can’t nap. No matter how tired I am, it just doesn’t happen. Also, thanks for sharing the blogging posts you liked. There’s some great info on them! And I know! I’m so surprised it actually worked yesterday! Hahaha, one day we will meet up! It would be pretty amazing and ALL the things we would talk about, haha, we would need days! I never take naps because like you, I feel like the day is wasting away! Sweet Potato fries AND grilled plantains sound like heaven right about now. Have a great weekend!! I think we should both make from fries and plantains and then go pass out on the couch! I’m not a napper but wish I was, I rarely have the time and I think I’ve trained myself not to nap no matter what. If I do nap it usually means I’m sick so that’s a bad association! Love all of these pins but those dijon potatoes are really calling out to me. And the bug bite balm, we’ll be needing that ASAP! Have a great weekend and enjoy your rest! I know, I’m the same way. But then when I am able to have that rare nap, I feel accomplished! Haha! I’m dieing over the potatoes!! I get bug bites the second I step out the door! This stuff looks fab! Girl, naps are awesome! Take advantage of them while you can 😉 Have a great weekend! I know! I’m thinking this may be some of my last chances! Yay for naps! I’ve always been a fan but now with a toddler at home, I CHERISH them!! Instagram rocks, I can’t wait for it take over the social media world! Well apparently, it’s going to die, not blow up like it always has! Janine, you are just one amazing blogger! All the topics you write about you always nail <3 From blogging to parenting and everything in between! Great roundup of links, I will have to check some of these out with my extra time this weekend! I hope you do dear! That iced tea and that chickpea sandwich look AWESOME!!! Need to pin for later 🙂 Have a great weekend! I think those two together and we would have mealtime perfection!